I am currently a doctoral candidate at USC (University of Southern California). My research is focused on model validation, computationally efficient structural system identification and control. I am supported by a Viterbi Ph.D. Fellowship at USC. I have earned my Master's degrees in Civil Engineering with specialization in Structural Engineering from Indian Institute of Science (IISc) in 2013 and in Electrical Engineering from University of Southern California in 2016. I carried out research on Bayesian model selection and was supported by scholarships from Ministry of Human Resource and Development, Govt. of India during my stay at IISc. I received my Bachelor of Engineering (B.Eng.) degree in Civil Engineering from Jadavpur University in 2011. My research topic was Application of Genetic Algorithm in Civil Engineering Problems. Supervisor: Erik A. Johnson, Ph.D. Supervisors: C. S. Manohar, Ph.D., and Debraj Ghosh, Ph.D.
Development of a computationally efficient model validation framework applicable to models from vast domains. This work is done in collaboration with Prof. Steven Wojtkiewicz of Clarkson University and Dr. Patrick T. Brewick of United States Naval Research Laboratory. A probabilistic machine learning framework is proposed for efficient validation of models. The proposed framework has been applied to structural, turbulence, and material modeling problems. Development of a computationally efficient method using Nonlinear Volterra type Integral Equations (NVIE) to model selection problems. Incorporating dynamic time history data for nonlinear models as the modal parameters changes with time in nonlinear models. Using NVIE approach the speedup is upto three orders of magnitude compared to traditional nonlinear solvers. The approach is demonstrated using a 100 DOF building structure subjected to earthquake and a 1623 DOF three-dimensional building subjected to wind. 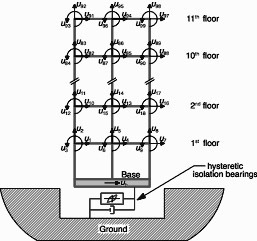 Development of computationally efficient design procedure of passive control devices for complex structures using NVIE approach. This work is done in collaboration with Prof. Steven Wojtkiewicz of Clarkson University. Realizable computation time for large and complex structures. Trade-off between accuracy and speedup exists. Uncertainty in the existing structure can be incorporated. Application in a benchmark cable-stayed bridge. A rigorous study on prior sensitivity, incorporation of training and validation data in Bayesian model selection. De, S., Wojtkiewicz S.F. and, Johnson, E.A. "Computationally Efficient Optimal Design of Passive Control Devices for a Benchmark Cable-Stayed Bridge", Structural Control and Health Monitoring, 2016. De, S., Johnson, E.A., Wojtkiewicz S.F. and, Brewick, P.T. "Computationally-Efficient Bayesian Model Selection for Locally Nonlinear Structural Dynamical Systems", Journal of Engineering Mechanics (2018). De, S., Brewick, P.T., Johnson, E.A. and, Wojtkiewicz S.F. "Investigation of Model Falsification using Error and Likelihood Bounds with Application to a Structural System", Journal of Engineering Mechanics (accepted). De, S., Brewick, P.T., Johnson, E.A. and, Wojtkiewicz S.F. "A Probabilistic Hybrid Framework for Model Validation of Dynamic Systems", Mechanical Systems and Signal Processing (submitted). De, S., Brewick, P.T., Johnson, E.A. and, Wojtkiewicz S.F. "Robust Prediction of Structural Systems using Model Falsification", ASCE-ASME Journal of Risk and Uncertainty in Engineering Systems, Part A: Civil Engineering (submitted). De, S., Johnson, E.A. and, Wojtkiewicz S.F. "Efficient Forward Uncertainty Propagation for Locally Nonlinear Dynamic Systems using Volterra Integral Equations", Journal TBD (in preparation). De, S., Johnson, E.A. and, Wojtkiewicz S.F. "Multilevel estimation of marginal likelihood for Bayesian model selection", Journal TBD (in preparation). De, S., Brewick, P.T., Johnson, E.A. and, Wojtkiewicz S.F. "A Probabilistic Model Validation Framework for Reynolds Averaged Navier-Stokes Models for Turbulence", Journal TBD (in preparation). De, S., Kamalzare, M., Johnson, E.A. 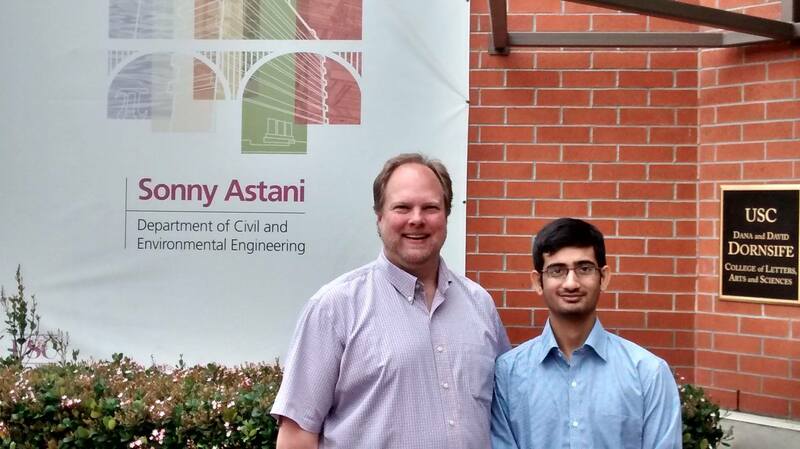 and , Wojtkiewicz S.F., "Efficient Optimal Design of Passive Structural Control Devices for Complex Structures", ASCE Engineering Mechanics Institute Conference, August 2014 . McMaster University, ON, Canada. De, S., Kamalzare, M., Johnson, E.A. and , Wojtkiewicz S.F., "Computationally-Efficient Bayesian Model Selection for Structural Systems with Local Nonlinearities", ASCE Engineering Mechanics Institute Conference, August 2014, McMaster University, ON, Canada. De, S., Johnson, E.A. and , Wojtkiewicz S.F., "Efficient Optimal Design-Under-Uncertainty of Passive Structural Control Devices", 12th International Conference on Applications of Statistics and Probability in Civil Engineering, ICASP12, July 2015, Vancouver, BC, Canada. De, S., Johnson, E.A. and , Wojtkiewicz S.F., "Fast Bayesian Model Selection with Application to Large Locally-Nonlinear Dynamic Systems ", 6th International Conference on Advances in Experimental Structural Engineering, 11th International Workshop on Advanced Smart Materials and Smart Structures Technology, August 1-2, 2015, University of Illinois, Urbana-Champaign, USA. De, S., Johnson, E.A. and , Wojtkiewicz S.F., Brewick, P.B., "Efficient Bayesian Model Selection for Locally Nonlinear Systems incorporating Dynamic Measurements", 10th International Workshop on Structural Health Monitoring (IWSHM), September 2015, Stanford University, CA, USA. De, S., Brewick, P.T., Johnson, E.A. and, Wojtkiewicz S.F. "Exploration of Error Rate Criteria to Decide Bounds for Model Falsification'', ASCE Engineering Mechanics Institute Conference, May, 2016, Vanderbilt University, Nashville, TN, USA. De, S., Brewick, P.T., Johnson, E.A., Wojtkiewicz S.F. and, Bermejo-Moreno I. "Error and Likelihood Bounds for Falsification of Dynamical Models'', IMAC XXXV Conference, 2017, Hyatt Regency Orange County, CA, USA. De, S., Johnson, E.A. and, Wojtkiewicz S.F. "Efficient Uncertainty Quantification for Locally Nonlinear Dynamical Systems'', ASCE Engineering Mechanics Institute Conference, 2017, University of California, San Diego, CA, USA. De, S., Brewick, P.T., Johnson, E.A. and, Wojtkiewicz S.F. "Model Falsification in a Bayesian Framework'', ASCE Engineering Mechanics Institute Conference, 2017, University of California, San Diego, CA, USA. De, S., Yu, T., Johnson, E.A. and, Wojtkiewicz S.F. "Model Validation of a 4 Story Base Isolated Building using Seismic Shake-Table Experiments'', 11th U.S.~National Conference on Earthquake Engineering, 2018, Los Angeles, CA, USA. Torsion - Part 1, Part 2. Bending - Part 1, Part 2. Shear - Part 1, Part 2. Transformation of Stress - Part 1, Part 2 (Mohr's circle). Deflection of Beams - Part 1, Part 2 (Moment-area method). A primer on Bayesian model selection. Python library mVal coming soon. Recipients of Viterbi PhD Fellowship (2013-2017) and Gammel scholarship (Spring 2017) from University of Southern California. Recipient of Ministry of Human Resource Development, Govt. of India Scholarship for Graduate studies (August, 2011-July, 2013). 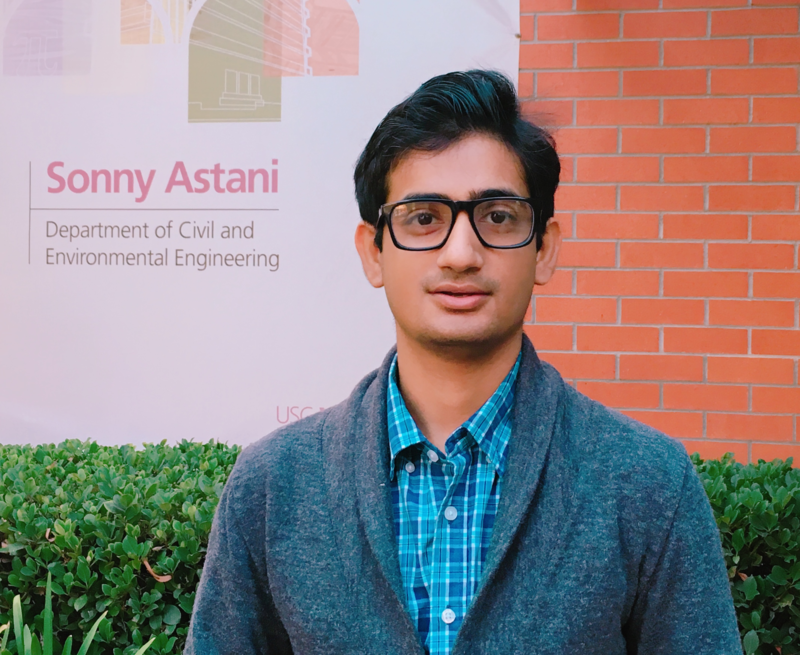 Received travel grants from USC Graduate Student Government for attending ASCE Engineering Mechanics Institute Conference, 2014 and 2017, IMAC XXXV Conference, 2017. ASCE Engineering Mechanics Institute Conference Probabilistic Methods student paper competition finalist in 2014, 2017. Received scholarship from National Science Foundation to attend the Asia-Pacific Summer School on Smart Structures Technology, 2015. Selected as Research Assistant of the month in March 2015. GATE (Graduate Aptitude Test in Engineering) All India Rank: 5th in the year 2011 (Civil Engineering). University Bronze Medal in Jadavpur University. Scientific tools: MATLAB, Mathematica, Maple, ANSYS, AUTOCAD. OS: Windows, Mac OSX, Linux/Unix. 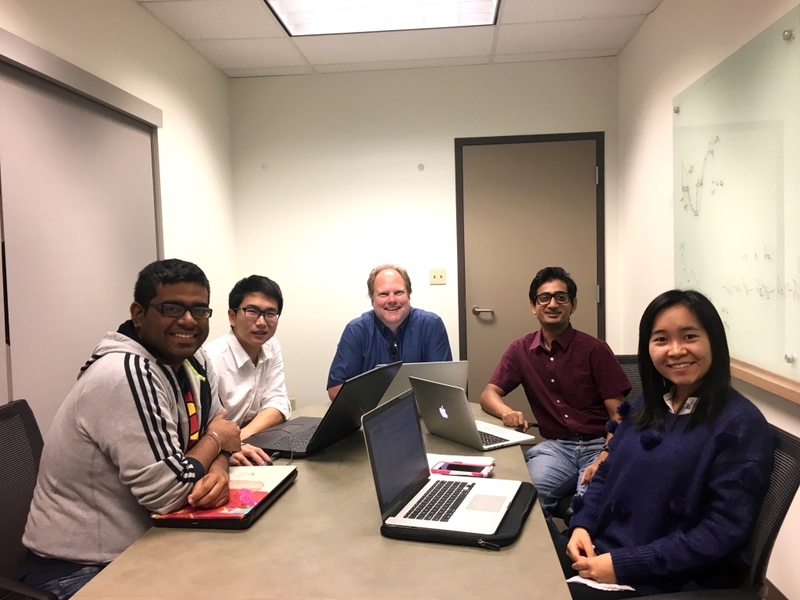 (from left) Agnimitra Dasgupta, Tianhao Yu, Prof. Erik Johnson, Subhayan De, Qian "Monica" Fang (2017). 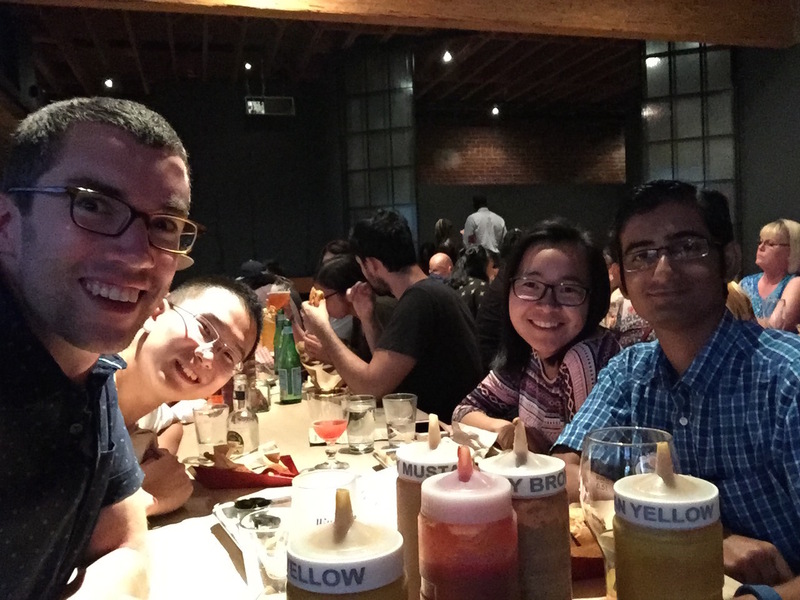 (from left) Dr. Brewick, Tianhao Yu, Qian "Monica" Fang, Subhayan De (2016). With my advisor Prof. Erik A. Johnson (2015).